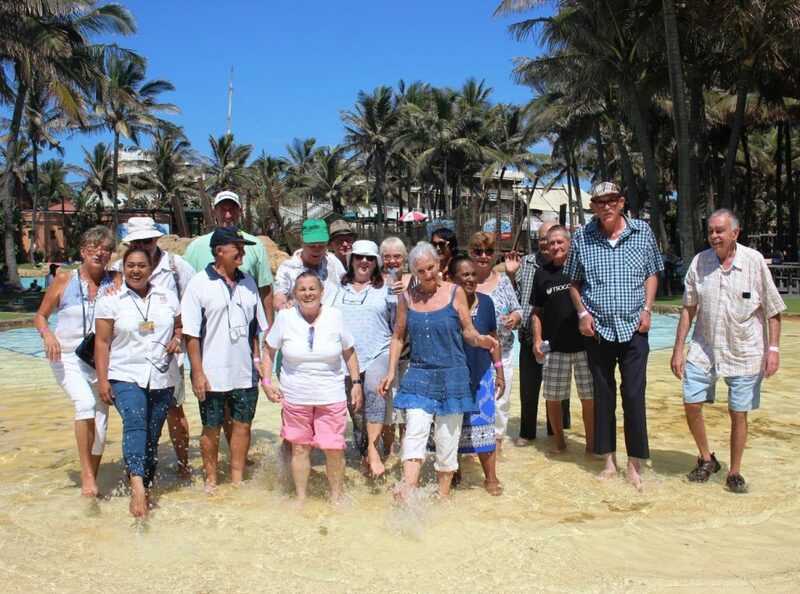 Last week Friday was a morning of unlimited fun in the sun at uShaka Marine World for over 60 seniors from Bartle House, a NGO home for the aged in Umbilo. They took part in a number of activities as well as treated to a tour of the Aquarium and enjoyed the Dolphin & Seal Shows. The group also got to enjoy a delicious lunch at Wahooz on the Promenade. Some of the seniors even took to cooling down and taking a dip in the pools at Wet n Wild together with uShaka Marine World’s Marketing Administrator Naazneen Abdul Karim (front left) who took time out of hosting the visitors and joined in and had some wallowing fun!